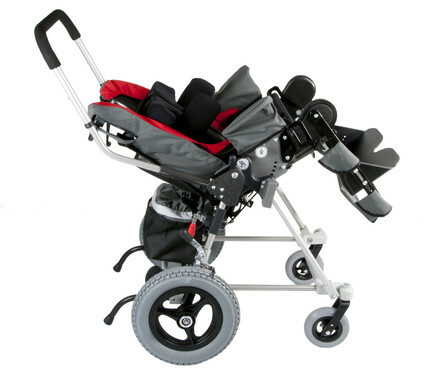 The Kid Kart® TLC early intervention kids wheelchair features contemporary style, extensive positioning, and user-friendly functionality for children 0-3 years old weighing up to 75 lbs. The TLC is available with loads of options to make daily tasks more convenient and fulfill the medical needs of your child. Every TLC comes standard with a canopy that includes a mesh, magnet-attached window, allowing you to see your child when facing forward. 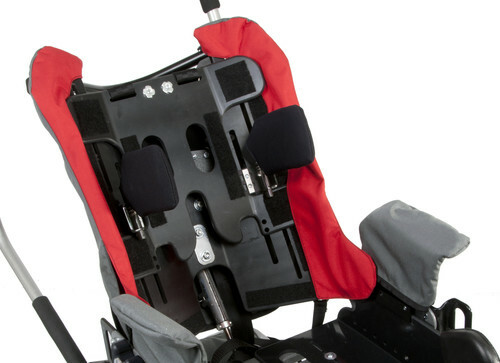 Optional ventilator trays, IV poles, oxygen tank holders, and upper extremity support trays transform the TLC to support your child's individual needs. 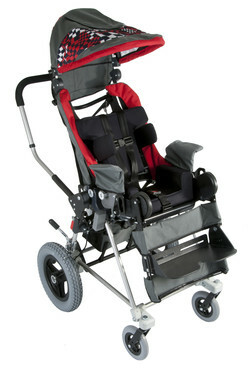 The Fixed Height Feeder Base keeps your child properly positioned during feeding, activities, or therapy. Chair Weight (Without Footrests if applicable) 43 lbs. User Weight Capacity 75 lbs. Average Shipping Weight 40 - 60 lbs. Seat Widths 6" to 13.5"
Seat Depths 8" to 14"